Speedrite 630000RS Energizer [SPE63000RS] : Highland Livestock Supply, Ltd, Products for all of your show animals! 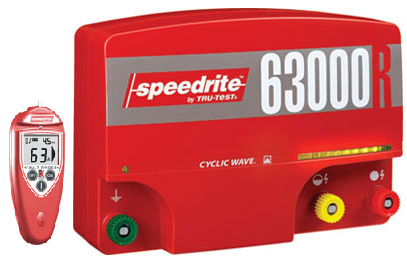 The Speedrite 63000RS Mains Energizer gives 63 output joules and is designed for farms with up to 390 miles of fence wire. A low impedance energizer that combines massive power with technology to produce hard working performance.